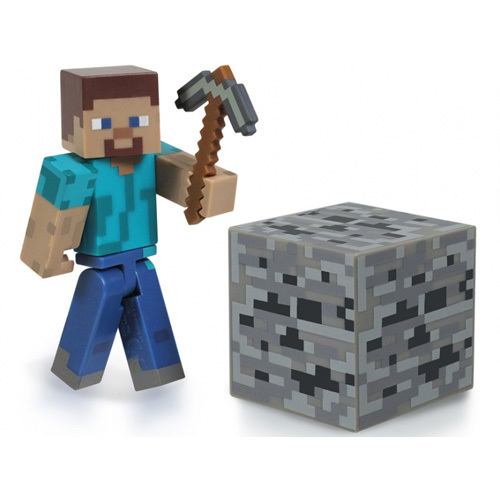 Minecraft Steve figure with accessory. Steve is highly capable and customizable, he possesses excellent crafting and combat skills. He can also carry a hefty inventory and tame various types of creatures.